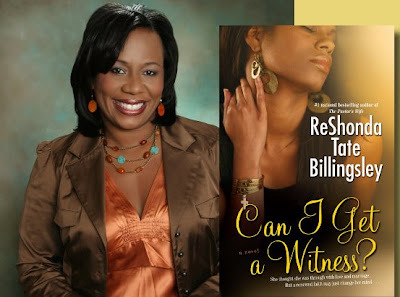 Brother Jesse Blog: Blog Interview: National Best-selling Author Reshonda Tate-Billingsley was rejected so she published her own books! Reshonda Tate-Billingsley: I am a national bestselling author of 15 books, three of which are about to be made into movies. I also freelance for local newspapers and provide marketing and publicity services to I'm Ready Productions. I am a former reporter with Fox 26 News and now write full time. Brother Jesse: What inspired you to become a writer? Tate-Billingsley: I have always loved writing. As a child I could be found with a book in one hand and a pen in another. I love making up stories (my mother calls it lying) but I just love allowing my creativity to take over and craft a story. Brother Jesse: What difficulties did you face early on trying to secure a book deal? What drove you to not give up? Tate-Billingsley: I got rejected so many times I lost count. At one point, I was rejected by someone who then complimented my book. When I pointed that out, he laughed and said, "Oh, I just stamp rejection on everything because I get so many manuscripts." I asked myself 'how many other people are sitting there rejecting my work without even reading it?' I knew I had a good story to tell so even though I couldn't get an agent or publisher to believe in me, I believed in me, so I published my book myself. Brother Jesse: What successes have you enjoyed by maintaining focus on your goals? Tate-Billingsley: I've achieved national recognition as a writer. I am blessed to be considered one of the current top African-American female writers. I think if I had given up, or not remained focus on my goals, I wouldn't be where I am right now. Brother Jesse: What writers do you admire? What type of books do you read in your spare time? Tate-Billingsley: I am an avid reader. I enjoy Kimberla Lawson Roby, Eric Jerome Dickey, John Grisham and I love giving new authors a chance by reading their books. Brother Jesse: Describe some moments that have inspired one of your best-selling books. Tate-Billingsley: I would love to say I have some ah-hah moments as the inspiration for my books. But I come from a very large, very colorful, and very dysfunctional family. They provide me with inspiration every time we get together. Brother Jesse: Has the present economy impacted the book-selling industry? Why or why not? Tate-Billingsley: It has truly affected book sales. People don't have as much disposable income so they aren't buying as many books. I am one of the lucky ones and are still steadily selling books, but a lot of authors are losing their book deals because the sales overall, are down, way down. Brother Jesse: If some one wants to become a independent publisher, do they need to go to school to learn? Tate-Billingsley: No, they just need to do alot of research. Basically, do their homework. I meet a lot of people who just want to jump in the publishing game, without truly doing their homework. Keep in mind, publishing yourself is a WHOLE lot of work. But if you keep at it, it can definitely pay off. Brother Jesse: I heard that several of your books are being developed into movies. How is that going and what have you learned about the movie industry thus far? Tate-Billingsley: The movie industry is definitely a different breed. There are so many delays, that are normal to them, but frustrating for an eager, excited author waiting to see her work on the big screen. After numerous delays, we are back on board and slated to start pre-production in December. I'm Executive Producer and super excited about the director, who I'll share once I get the go-ahead. But it was interesting to see my book go to screenplay. There were a lot of changes that as an author I couldn't understand, but when they explained them from a marketing perspective, they made alot of sense. Brother Jesse: If I was to ask five of your closest friends to use one word to describe you, what do you think they would say? Brother Jesse: What are your thoughts about the new President-Elect Barack Obama? What impact did it have on you personally? Tate-Billingsley: I am thrilled at the election of President-Elect Barack Obama. It was wonderful to witness history in the making. But I am especially proud that not only is he a President who appears to be able to transcend race, but he has a true SISTA on his arm. Go Michelle! You represent us well! Brother Jesse: What's next for you over the next five years? Tate-Billingsley: To continue writing my books, raising my three kids, learning the screenwriting business and sneaking into a scene in my movie! She has a very motivational story. I thank you for the interview and I thank her for sharing her story for all to hear.